– A European astronaut's idea for improving the wristwatches worn in space has become the basis for a new version of the timepiece first used on the moon. French astronaut Jean-François Clervoy, who was a crew member onboard three U.S. space shuttle missions in the 1990s, was inspired by his time orbiting the Earth to come up with a better clockwork for the wristwatches he and his fellow astronauts wore in space. His movement, which the European Space Agency subsequently had patented, has now made it into in a chronograph from Swiss watchmaker Omega. "I am excited and proud to see my invention implemented in a high precision wristwatch," Clervoy remarked. "Having Omega in this partnership with ESA, based on our patent, will allow all ESA astronauts to benefit from its innovative functions." 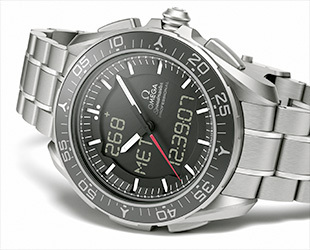 Omega's Skywalker X-33 is the latest in the watchmaker's line of Speedmaster Professional chronographs, including the timepieces worn by the Apollo astronauts on the moon and the more than 200 men and women who have resided on the International Space Station. 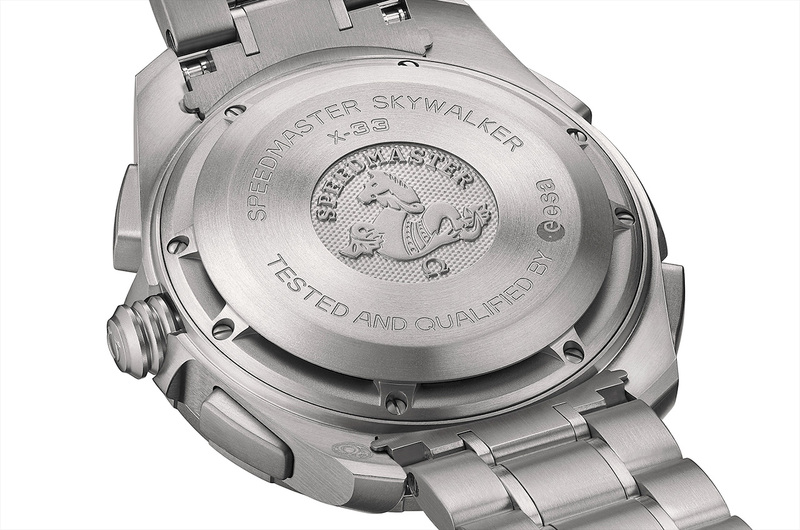 The Skywalker is built upon the design of the original X-33, an analog and digital watch first introduced in 1998, which was developed with the help of NASA astronaut Thomas Stafford. "The Speedmaster Skywalker X-33 has been developed to meet the needs not only of astronauts, but of anyone who can appreciate its impressive variety of functions," states Omega on its website. The Skywalker X-33, powered by a multi-functional quartz movement with a thermo-compensated integrated circuit, was developed under an ESA license based on Clervoy's invention. But the watch's space-inspired features are not limited to just its astronaut-designed caliber; its functions were tailored for use on — and off — the planet. Like the previous X-33 models worn by station astronauts and cosmonauts, the Skywalker features countdown and mission elapsed time (MET) features. New to this model is a phase elapsed time function and MET alarms allowing the wearer to more easily keep track of the hours, minutes and seconds leading up to, and since, mission events. The Skywalker reverses the display from the earlier X-33 wristwatches, featuring a black dial with white indexes and hour markers. 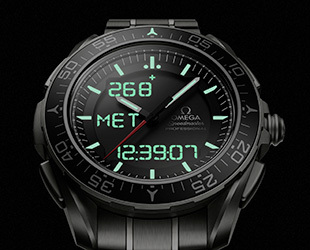 The hour and minute hands are coated with Super-LumiNova photoluminescent pigments which emit a green light and the liquid crystal display (LCD) is equipped with an electroluminescent backlight for what Omega says is for "deep space visibility." The first models of the X-33 were flight qualified by NASA for use in space. 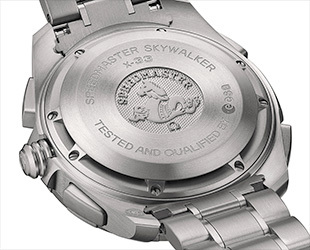 The Skywalker is the first Speedmaster to be tested and qualified by the European Space Agency. ESA engineers put the Skywalker through rigorous testing at the European Space Research and Technology Center (ESTEC) in Noordwijk, The Netherlands, where the space agency's satellites are examined before launch. 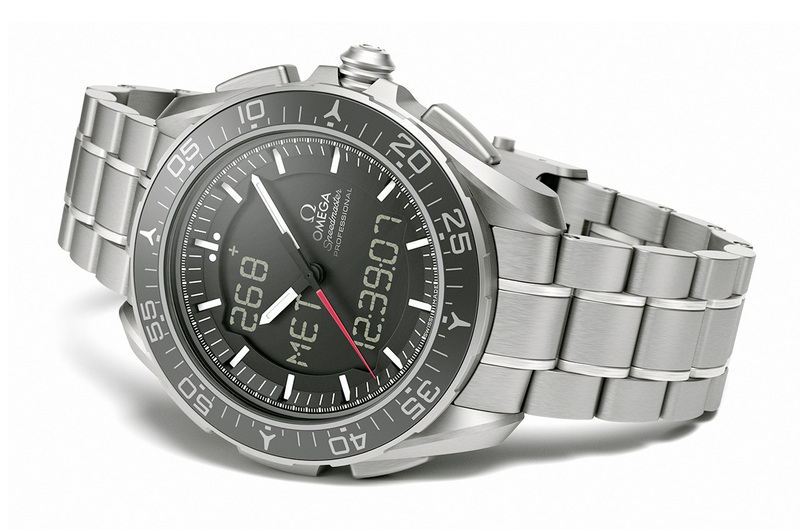 The Omega timepiece displayed ruggedness by surviving shaker tests simulating the intense vibrations of a launch, and was spun in a centrifuge to reach 7 G's, seven times the force of gravity on Earth, the same an astronaut might endure when returning to the planet. ESA also analyzed the watch's performance after sitting in a vacuum chamber at temperatures ranging from minus 49 to 167 degrees Fahrenheit (-45 to 75 degrees Celsius), far greater a range than an astronaut would have to endure. Finally, the Skywalker was exposed to radiation under the supervision of France's ONERA/DESP space environment department. 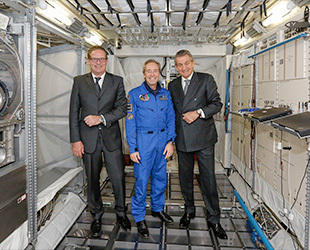 Having passed ESA's tests, the Speedmaster Skywalker X-33 will be included in the standard equipment issued to European astronauts by the space agency. 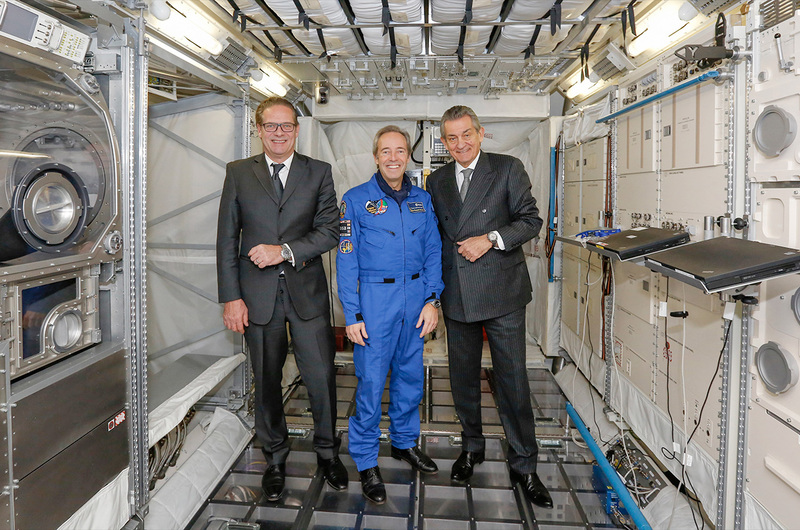 "ESA's abilities and ambitions are extraordinary," Stephen Urquhart, president of Omega, stated. "We are proud that their name and endorsement grace the back of this iconic chronograph." 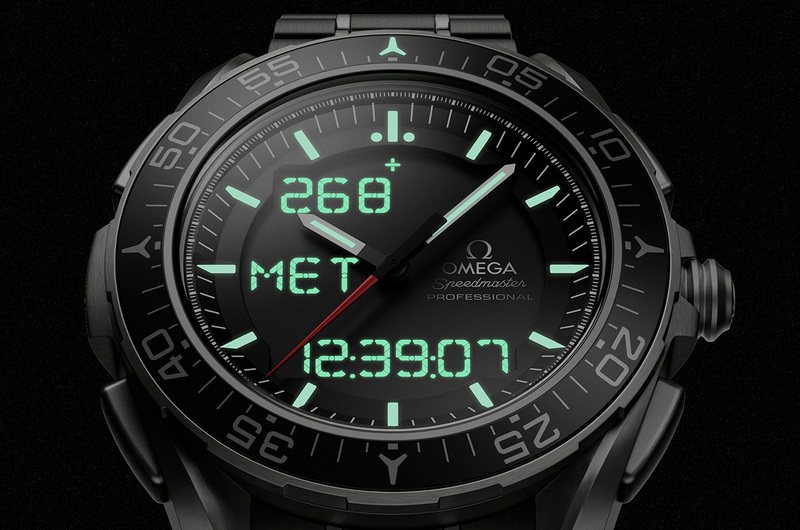 For more about the Speedmaster Skywalker X-33, see the Omega website or download the Apple iPad app.